The Japanese developers of this Xbox 360 online battler have quite the history. 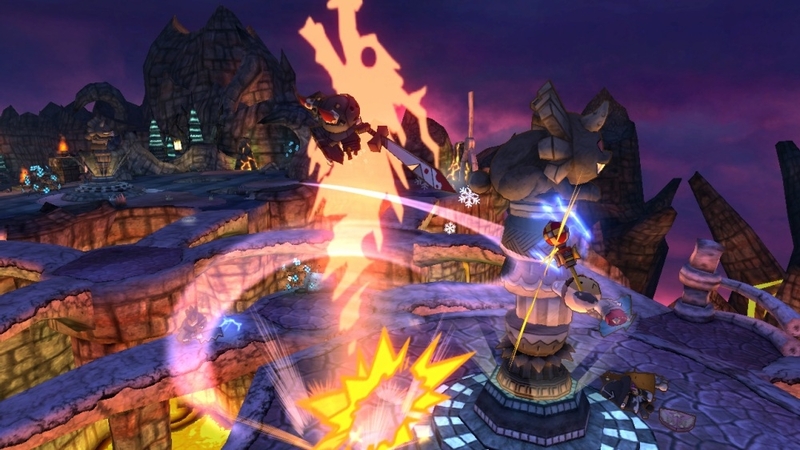 As well as working on 2009’s Teenage Mutant Ninja Turtles: Smash Up for Wii and PlayStation 2, they also had a helping hand on the game that inspired it – Super Smash Bros. Brawl. If this doesn’t make you curious about Happy Wars then surely the fact that it’s a free download for gold members will. 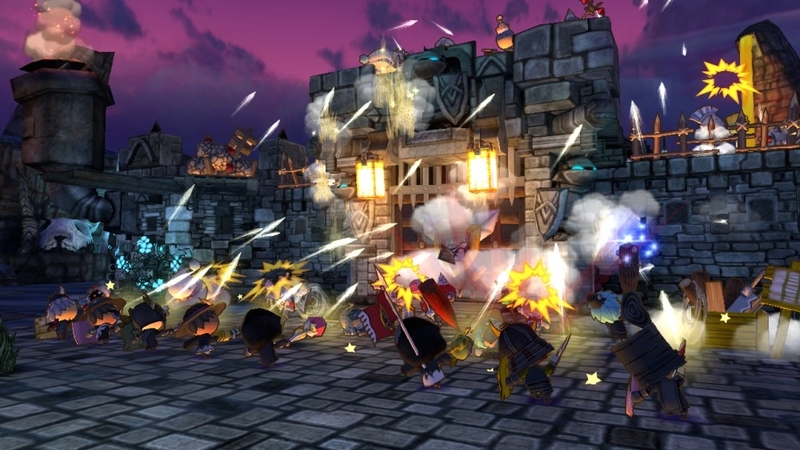 Prior to release Happy Wars was billed by some as being an MMO RPG. That’s not a particularly accurate description. It has most of the fundamental elements of your typical RPG, such as levelling up and different character classes, but you won’t find any quests, guilds or taverns full of virtual wizards here. Instead, 15 v 15 battles are on the agenda, with warriors, mages and clerics fighting it out to take control of one another’s castles. Battles last around ten minutes and are incredibly fast paced. Towers can also be constructed and captured, and act as respawn points. After meeting your maker there’s a ten second or so wait until you respawn during which you can choose to reappear on the battlefield as a different character class. Having a good mixture of characters on your team is just one of the many strategies that can help turn a battle in your favour. Warriors provide the muscle, mages can cast spells and clerics act as support characters to heal and resurrect the dead. There are team skills too, in which a formation with other players has to be made before being unleashing. Our favourite of these has to be the meteor storm, although we did find the ability to fire a barrage of arrows into the air helpful as well. When too many enemies are surrounding your castle the door becomes automatically locked, fencing you in. The castle door can take quite a pounding and there are also cannons and piles of bombs at your disposal to try and keep attackers away. Should you find yourself attacking the opposition’s castle the chance to construct a battering ram does make the task of breaching the castle door a whole lot easier. The maps are quite different from one another and the menu screen suggests that there are more to come. One map has bridges that can be knocked down to hinder the enemy’s progress, while another has catapults that fling your army to other parts of the battlefield. 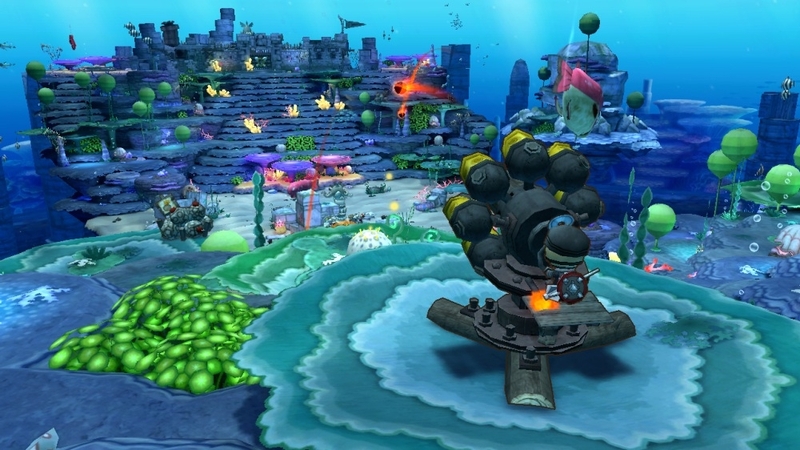 The underwater level is incredibly small with just one respawn point in the centre but due to its small size battles on this map are always chaotic. Carnage, even. 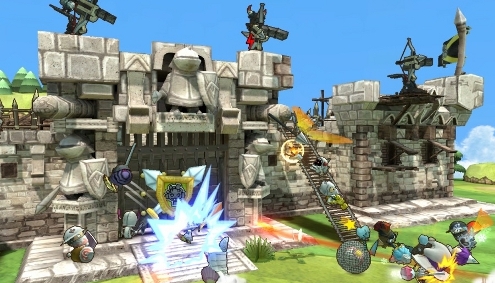 As the name suggests, Happy Wars is rather on the twee side. Warriors can be sent into battle with tin cans for helmets and old mattresses acting as shields, and it’s possible for clerics to stick orange juice cartons on people’s heads to provide extra protection. We assume this made perfect sense to the developers. Characters can be fully customised, and new weapons and armour can be forged by using turning older items into scrap metal. Usually you receive a new item or two at the end of each battle which helps to give Happy Wars that ‘just one more battle before bed’ vibe. Being a free game there are in-game purchases in place but they aren’t intrusive in the least. Packs of Happy Tickets start at 80 MSP and are used to purchase items ranging from weapon packs to new skin textures. Happy Tickets can also be used to buy packs of virtual trading cards containing mystery items. Another currency system is also in place – Happy Stars. All player gain these in battle and they can be used to play a roulette-style gambling game to win new equipment. We didn’t once feel the need to spend real money during play. The option to do so is pretty much hidden away, believe it or not. A single-player mode is also present with a plot involving a kidnapped Princess. You can’t play through it at your own pace though – chapters are unlocked as you reach new ranks during multi-player. Being an online-focused experience we should be grateful that there’s any single-player mode to speak of as ToyLogic could have easily left it out. The fact that it’s here helps the package to feel rather complete. There are a few issues with the online lobbies at the moment but these just appear to be teething problems, such as random connection errors. When there aren’t enough players to make up the numbers AI character fill the gaps. They’re a surprisingly intelligent bunch – we didn’t even realise they were computer controlled until after a few rounds. Whether the future of gaming is free to play experiences like this one is debatable. There’s no debating though that this has clearly had some thought put into it. Customising your characters is a lot of fun and battles can be both tense and exciting if everybody works together. There’s a good sense of teamwork throughout – you can communicate via pre-written text bubbles with players from all over the world. 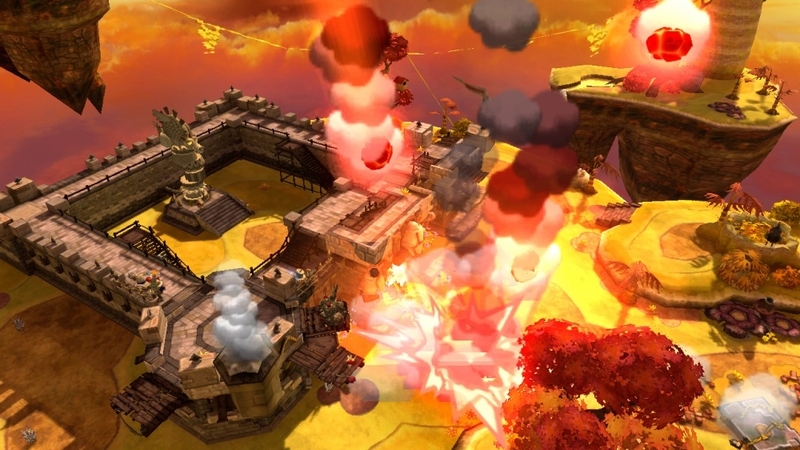 Happy Wars should be used as a blueprint for future free to play Xbox games – the in-game purchases aren’t shoved in your face in the slightest and it’s wholly enjoyable without spending a virtual penny. Good work. Happy Wars begun with an intruiged curiousness and developed into a worrying obsession of mine. Punctuality to work is unimportant. College work goes ignored. Social attendence has become somewhat redundant. Happy Wars is my world. I would point out if I may the lack of mention to the customisable buffs within the game. A character can really pack a punch combining the powerful campaign items with the abilities of the black smith and ‘buff mister’.